Jamie Sugar from PBI Corp contacted Studio 544 to re-design their basic landing page for the company’s speech analytics software division. 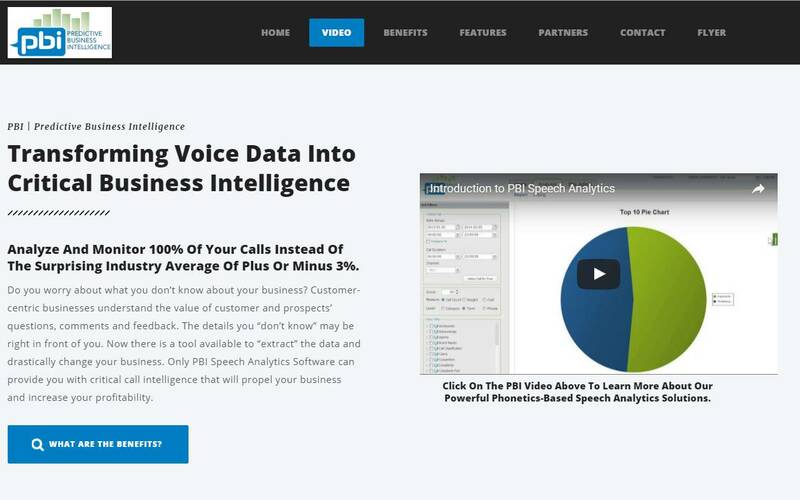 PBI is an advanced speech analytics business tool that filters customer interactions and provides companies with actionable intelligence about their business, customers and market, instantly producing key customer data and predicting critical business threats. The new website for PBI Corp can be found at www.pbi-corp.com It was designed to include more details about the company’s services as well as showcase their introductory video.